Twelfth Night was one of eighteen stage works never printed until the First Folio of Shakespeare plays in 1623. Two decades earlier, in 1602, the law student John Manningham had attended “a play called Twelve Night, or what you will” at the Middle Temple; and therefore most commentators, logically enough, believe this rollicking comedy was written in about 1600. While it may be shocking to find an allusion to such a serious current event “hidden” within a comedy, the finding by Desper would have been virtually impossible without knowing who was the correct author. Given that William Shakspere of Stratford was only seventeen in 1581 and still in Warwickshire, this allusion to Campion’s ordeal remained unnoticed for more than four centuries. 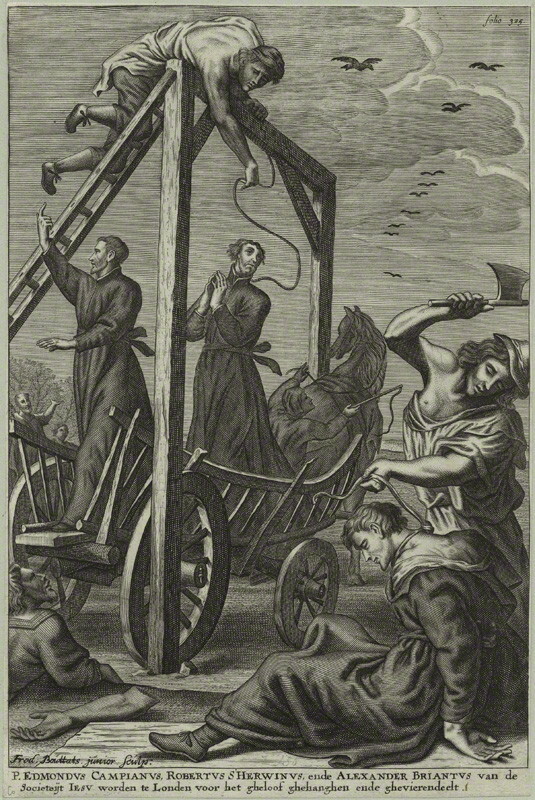 Oxford, however, was thirty-one in 1581 and writing “comedies” for private audiences as well as the court; and given his known sympathies toward Catholics in England, it is not surprising that he would be angry at officials of the Crown and Church of England for staging mockeries and travesties of justice. In September 1581 the Elizabethan government led Campion from his dungeon in the Tower for public “conferences” in an attempt to discredit him. 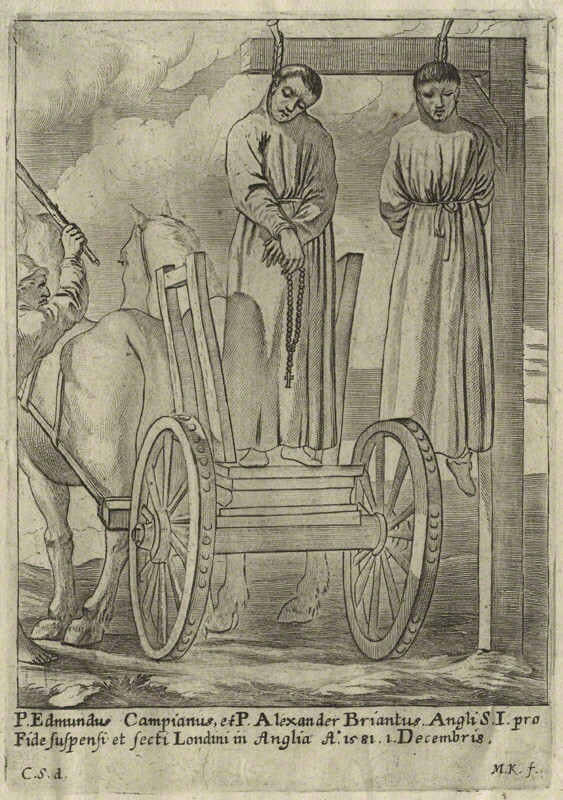 Scholars and clergymen representing the Church of England were sent to defeat him in religious disputations. In addition, the Crown sought to portray Campion as trying to rouse English Catholics in rebellion against Queen Elizabeth, with the goal of killing her and putting Mary Queen of Scots on the throne. The sessions were rigged and Campion was deprived of any means of preparing a defense. During the third disputation he asked his opponent, one Master Fulke, to allow him access to books containing the teachings of St. Augustine and St. John Chrysoston. “I am not to provide you ink and paper,” Fulke replied, thereby denying Campion the wherewithal to write even though he himself had challenged him to do so. This public exchange, embarrassing to the government, would have been most widely known in 1582, when the “old hermit of Prague that never saw pen and ink” would have been recognized as Edmund Campion. But why would any dramatist in 1600 write and insert an entire scene within a comedy such as Twelfth Night to metaphorically recreate the Jesuit priest’s ordeal in 1581? Was the scene actually performed in the early 1580s? Was it enacted for the Queen? Was it so skillfully hidden within the play that even William Cecil Lord Burghley, architect of the Protestant Reformation, or spymaster Francis Walsingham could have missed the allusions to Campions ordeal, which was their own doing? Isn’t this another example (like the Sonnets) of this author’s ability to create one kind of reality on the surface while another, wholly different world exists within the same work at the same time? There are more questions than answers, but I suggest that no writer other than Edward de Vere had the ability to create a scene that was so potentially dangerous and get away with it. As usual Hank, I feel very stimulated and rewarded by your writing. I’m very glad that Edward de Vere has such a great champion. Hope you and your family have a happy holiday. Thanks for those kind words. And I wish the same for you and family, too. Also the Thomas Norton who wrote Gorbaduc was the very cruel rackmaster in the Tower and Campion was severely racked. .Well you know how much I have linked to this during my time here. This essay changed my view of Shakespeare forever. The adroitness of concealing a withering political commentary poses huge problems for traditionalists as to identity of author, nature of author, and dating of works, among other things. When I used to argue this on HLAS they would blow it off but its clear the author was in tremendous danger if this was found out, for it is a highly seditious passage. For this reason I’m not sure this, or Hamlet, (or Richard II) was played for the crown. I think a lot of venues for Shakespeare were the Universities and Middle Temples. I cannot fathom this play being new in 1602. Donna Hamilton argues that Shakespeare was deeply involved in Church–state politics but she is seen as credible but fringe in “Strat World”. I think she missed this reference Desper uncovered, a most important find. Couple this with Patterson-“Censorship and Interpretation” and you have a paradigm shift right there, irrespective of authorial identity. Great statement, Ken. We are on the same page and thanks for pointing us to Desper’s article. There are some questions — well, I’d like to get your opinion about when it was written, when and where performed, the relationship to the circa 1602 performances, and so on. I mean the scene itself. I take it the play refers to the Queen and Hatton circa 1580, but when did he insert the Campion scene? One wonders about whether the Queen, Burghley and Walsingham could have witnessed it, if they ever did. Desper can’t figure it out so logically poses that it was inserted 1600 or so for posterity. I don’t buy that, somehow. But need help to understand Oxford and where he’s coming from. He is banished during the Campion time. He has been strongly sympathetic to the English Catholics — I am thinking of Norfolk, not even a decade earlier. And whatever happened in the 1570s in terms of his connection to Catholism, the Howard clan, whether all along he was a high level informant for the crown — his relationship with Munday, who gleefully reported the treatment of Campion — etc. If Oxford wrote that scene, he was expressing genuine fury at the harsh treatment of Campion and other Catholics… Any thoughts appreciated. This conundrum demonstrates how little we really know about Shakespeare and how very little the traditional view gives us. Two quick thoughts. The apparent topical references and if Hamilton is in the ball park show 1580’s (Hatton, Sidney, the Queen) and political – religious issues. Shakespeare seems often to cast Catholics in a benevolent light. Dan Wright argues otherwise. But as a humanist, I believe the author has some universal sympathies. Looney claimed the European powers classified Oxford as “lightly Catholic sympathetic”. Which would fit in here. “Art tongue tied by authority”. Goddard asserted that Shakespeare intended much of his works to be read. (The puns in Macbeth, for example, come too fast.) In the performance, somewhat removed, the language and metaphors are so swift here I am not sure the audience would get it. If played for court at the time, I doubt it was present. WAY too dangerous. But I don’t think it was delayed until 1602. Then no one gets it. Similar to gravedigger’s Hales-Petite reference in Hamlet. Over the head of the common theater goer. But as Harvey said, much of Shakespeare (assumed) was written for the “wiser sort”. Since it was never published before Folio, maybe inserted late? Or past the 1580’s. 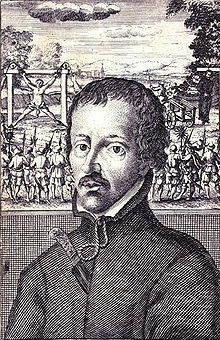 During the year that the Jesuit Martyr/Catholic Saint and hero Edmund Campion was murdered in December 1581. In August of the same year, Sir Alexander Hoghton made provision in his last will and testament for a Tutor called “William Shakeshaft” Also named was John Cottom, a Teacher from Stratford upon Avon also resident in the House of Hoghton at the time. 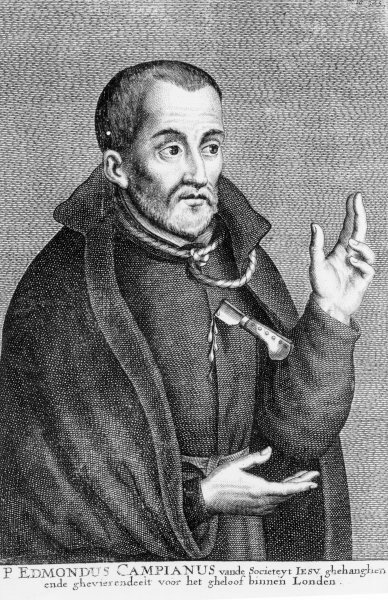 Hoghton’s house was home to both Edmund Campion and the other Murdered Jesuit Priest St Robert Southwell shortly before their martyrdoms. it is pretty much evident that Shakespeare was truly staying at Hoghton’s WHILST Campion hid there prior to his murder a few months later. It is clear that Shakespeare spent from approx 1579-1581 in that residence. So his inclusion of the tragedy of St Edmund Campion in Twelfth Night is NOT evidence against Shakespeare’s authorship – the evidence is pretty much conclusive that not only was he TRULY the author, but he was also apparently a distant cousin of both Robert Southwell AND Campion. An inscription to “my dear cousin W,S” being found in SOuthwell’s published book of poetry. I recommend that you watch Joseph Pearce’s two series. The evidence for Shakespeare’s Catholicism is overwhelming. They can be purchased here,,,,,, they are well worth watching. There are also some interesting youtube videos on the subject here…..
From Shakespeare’s Sonnet 23 a clear reference to a Catholic Martyr again – this time his admiration for the brave, Martyrdom of St Thomas More. Well, I hope you, Whittemore (Sandy too, for the deabtes we have had through the year), and all your beloved ones have the happiest holiday :D!!! Thanks, Francisco, and the same wishes for you and yours. Thanks to you and Sandy and Ken and Mike and William Ray and Mystikel and so many others who have filled these comment spaces with such important information and insight. Blessings to all and Happy New Year! Thanks for these! Happy New Year to you and all here! My friends, the best wishes to you all. Alas, in my family mournful events happened in the last month, I’m after two berials, and still there’s one waiting. But I thank you for your company, and I strongly believe that the next year there’ll be a breakthrough in our mission. So be it. Please accept my condolences, Sandy. We wish you the strength to go through this time. Warm regards to you and family. Thank you, my friends. After the sufferings these three human beings had to endure, death was a redemption for them. Wishing you solace and comfort in the New Year, Sandy.